…and just in the nick of time. I originally thought I’d add sea-grass wallpaper to the upper portion. But have since changed my mind. But, I haven’t changed my mind about the green wainscoting. 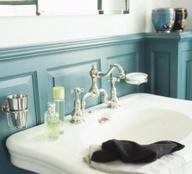 I’ve always been a white (or some shade of) molding, trim, wainscoting kinda girl. The trend Gods have spoken and have given my mind permission to go wild. Or, at least to drive my husband crazy. 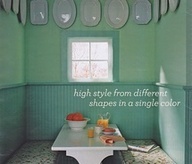 Whichever, I’m painting my wainscoting green. 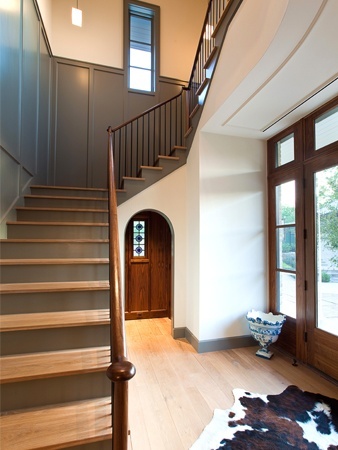 See for yourself if you don’t believe in colored moldings. Fun, right? Not for everyone, I know. But it will work for me. I painted the wainscoting in my dining room green as well as the crown. 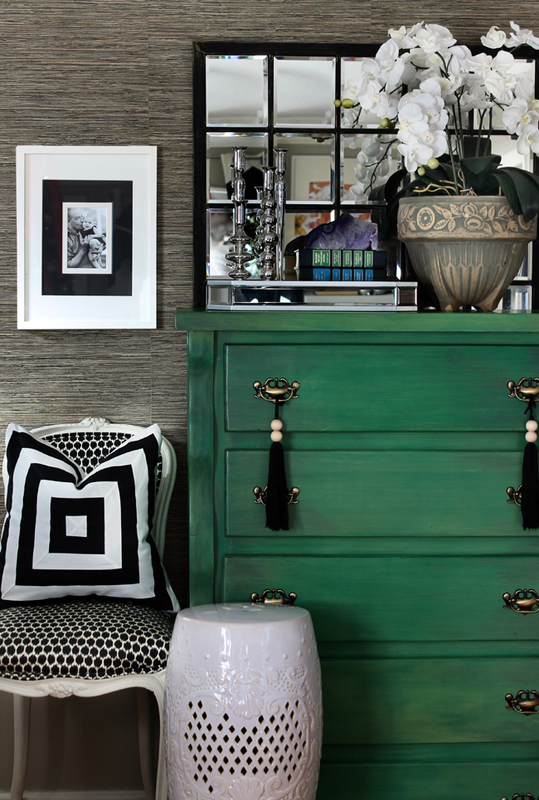 The wall color is neutral cream.My accessories and curtains are black floral and I must say it' striking. I say go for it! Oh Tracey can you send me a photo? I'd love to see it. 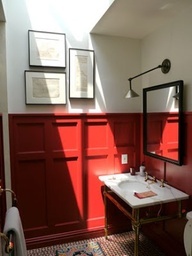 I've always loved painted molding. Sometimes I think the details pops more with color. I can't wait to see your finished project. 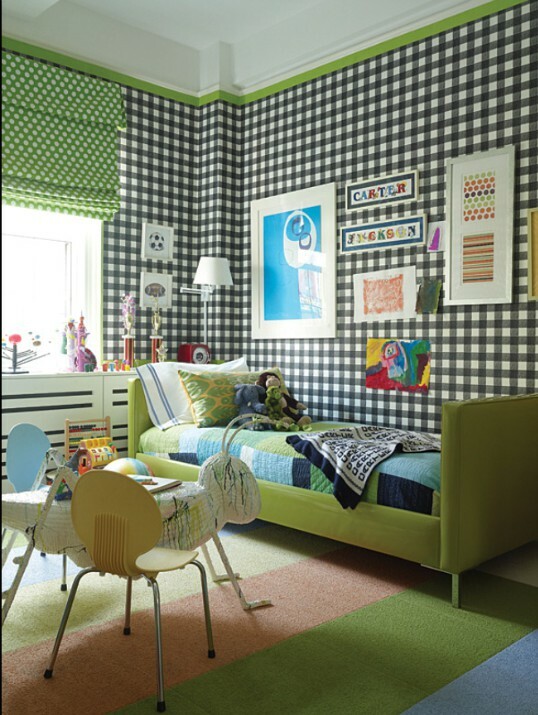 I've fallen in love with the green too, I love it with the black and white which I have a lot of…so green it is! I can't wait to see your finished wainscoting and trim!